Other family members blasted the album cover photo. 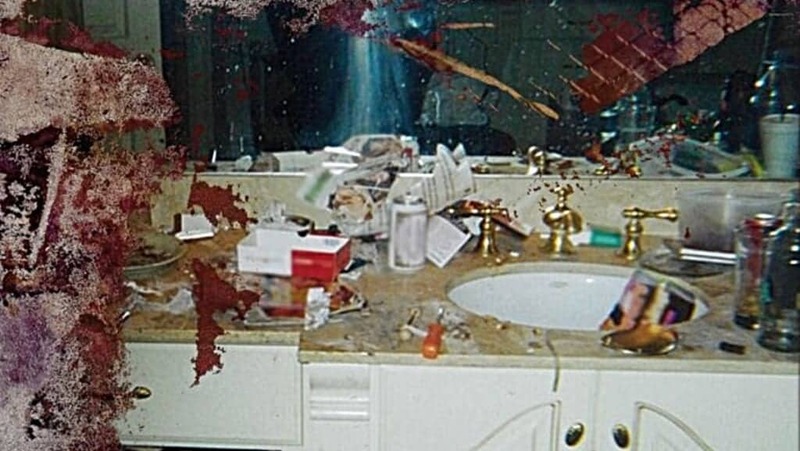 Not everybody in Whitney Houston’s family is mad at Kanye West about the singer’s messy, drug-laden bathroom photo being used on Pusha T’s new album cover. Gary Michael Houston, the son of Houston’s older brother Michael says he isn’t as outraged and understands the messaging behind why the shocking photo was used. He issued a statement to Good Morning America about the situation. He continued: “Bottom line — they are artists and in this day and age, if they can afford to pay someone for usage of that photograph in order to convey a visual message to accompany their musicianship…then so be it,” he continued. Instead, Houston said blame should lay at the feet of the one who deceived Houston by taking the photo. According to reports, Bobby Brown’s sister took the pic and sold it to the tabloids for a hefty payday. The photograph on the Pusha T “Daytona” album cover. Houston’s take in the controversial album cover differs from Damon Elliott, who is Houston’s cousin and a music producer. Elliott who has worked with Yeezy, said the distasteful picture even took him by surprise. Elliott said his daughter in fact called him upset about the photo. “[She was] frantic. She sent me this picture from the album cover and I immediately got sick to my stomach because it took me right back to six years ago,” he said. Elliot said that he wants to see the image switched out for something else as well as an apology from West. That hasn’t happened yet and we won’t hold our breath.